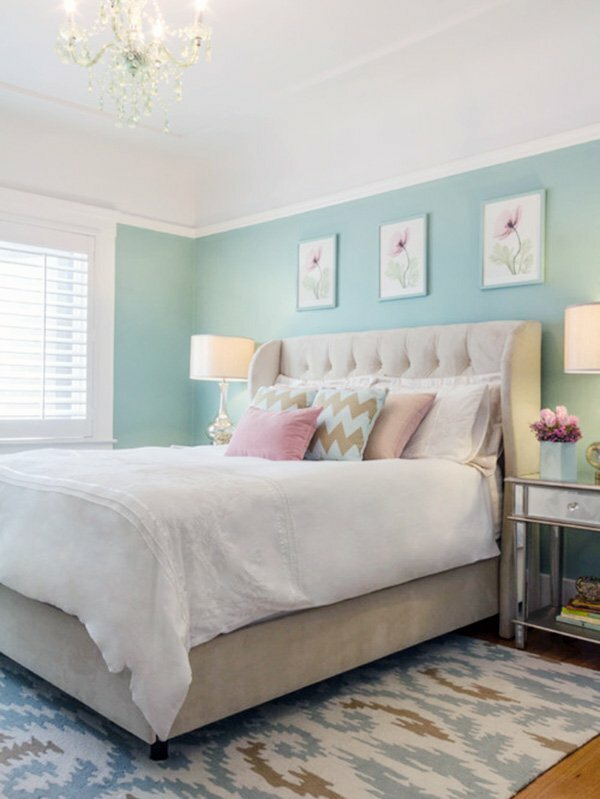 Pastel colors are vastly popular, and are especially preferred to be used in the bedrooms, and we believe that when choosing color schemes for your bedroom, pastel and soft colors suit the best. 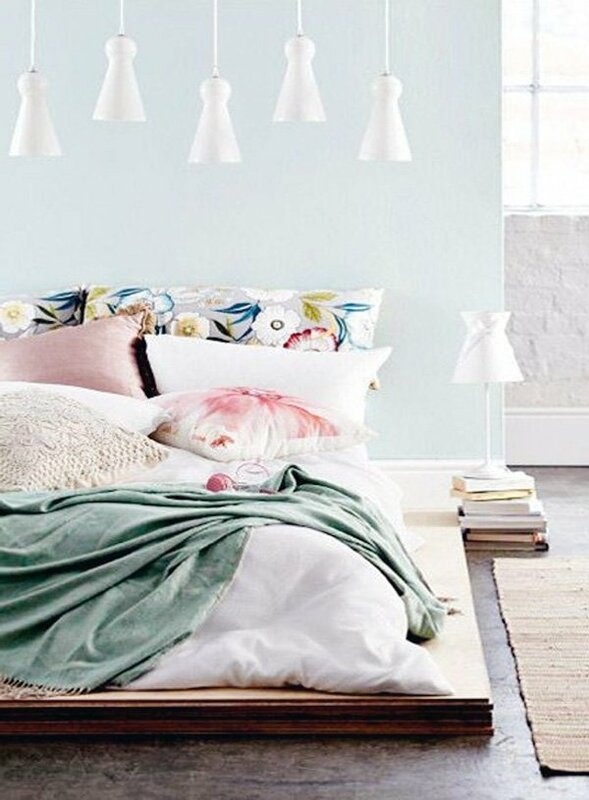 You can choose from many options including powder pink, baby blue, light yellow, mint green, or lilac. 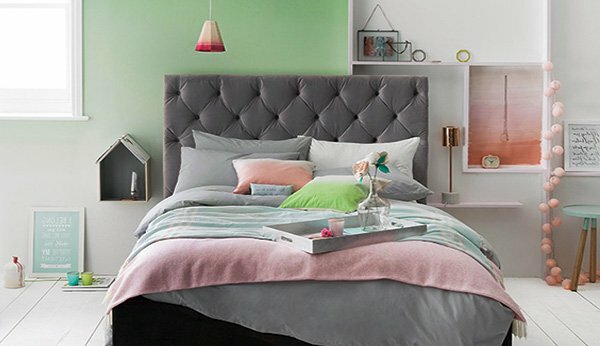 These color are the popular ones, however you can pair them with darker tones to create a balance and to make sure that your room does not look like a candy (if you are decorating your child’s room, that’s another case). 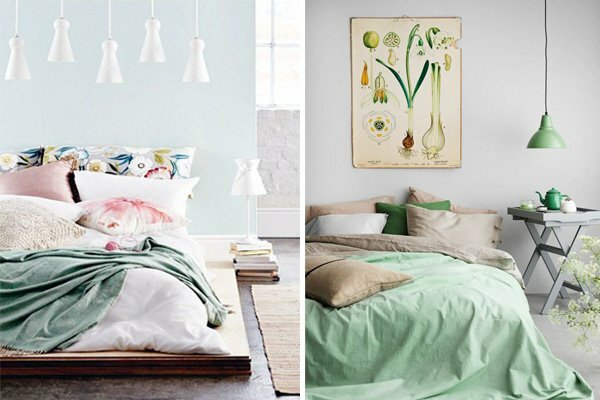 You can also combine these amazing pastel shades and create a livelier environment. 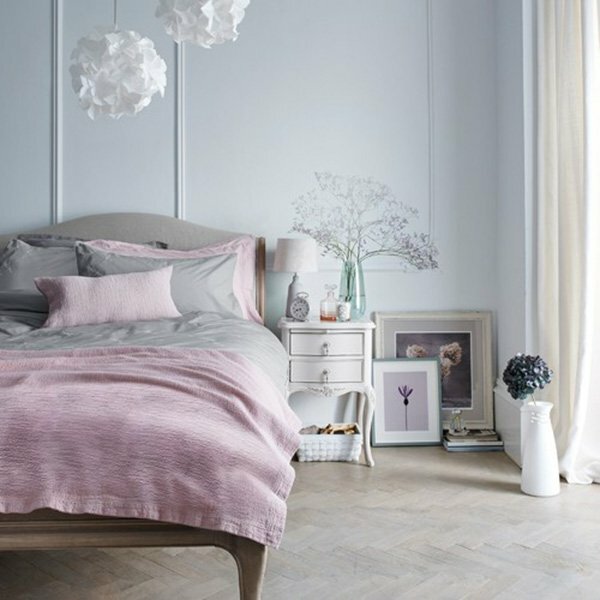 We believe that combining pastel colors with white turns out to be spectacular, so you can opt for that for style and elegance. 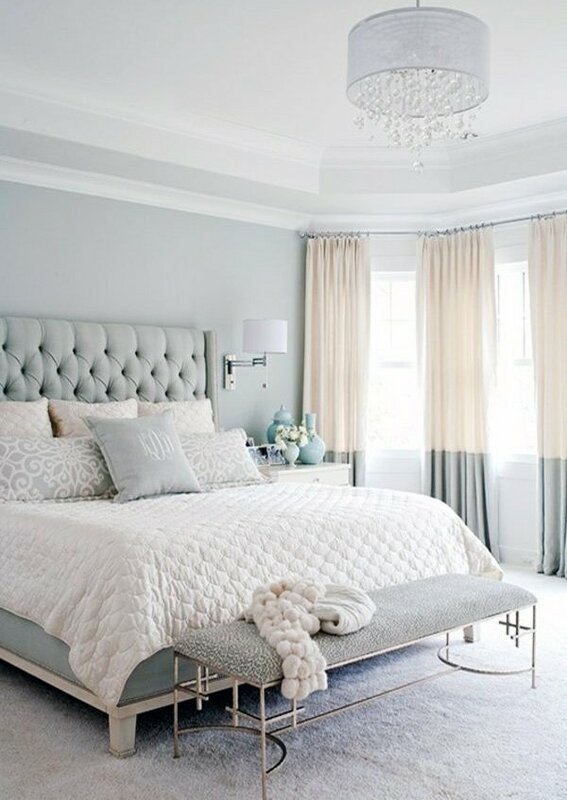 Since pastel shades offer a soothing effect, combining different tones does not create an overwhelming environment; so feel free to use the colors as you wish. 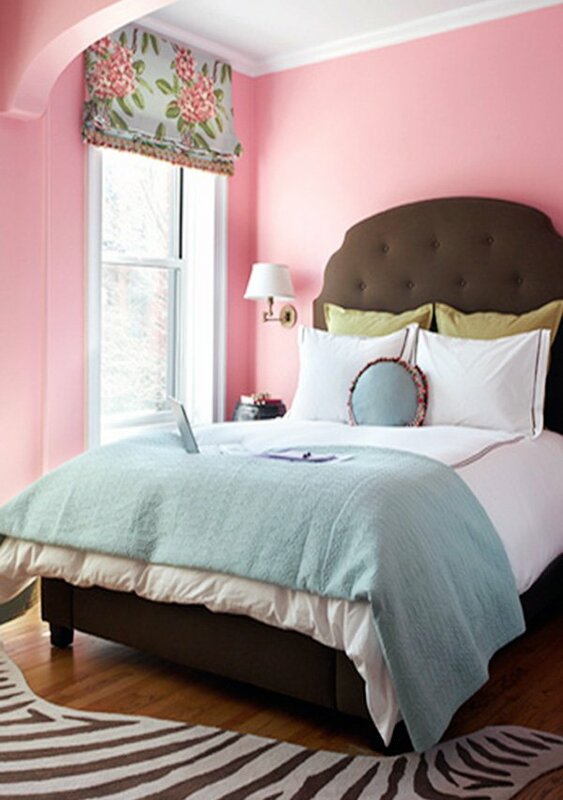 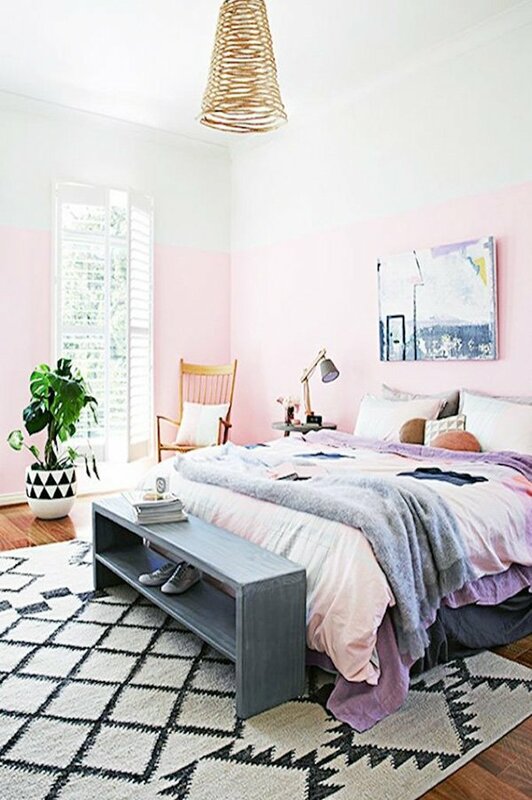 Meaning that you can mix powder pink with lilac and have a dreamy bedroom as a result. 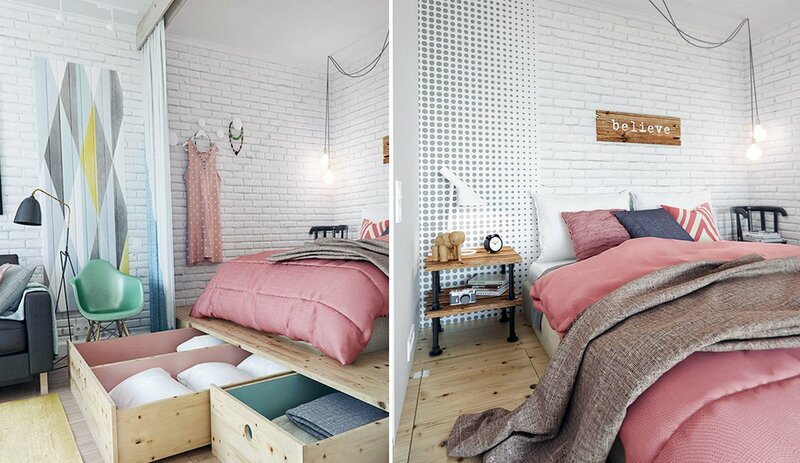 To create a more dynamic environment, you can make use of accessories accordingly. 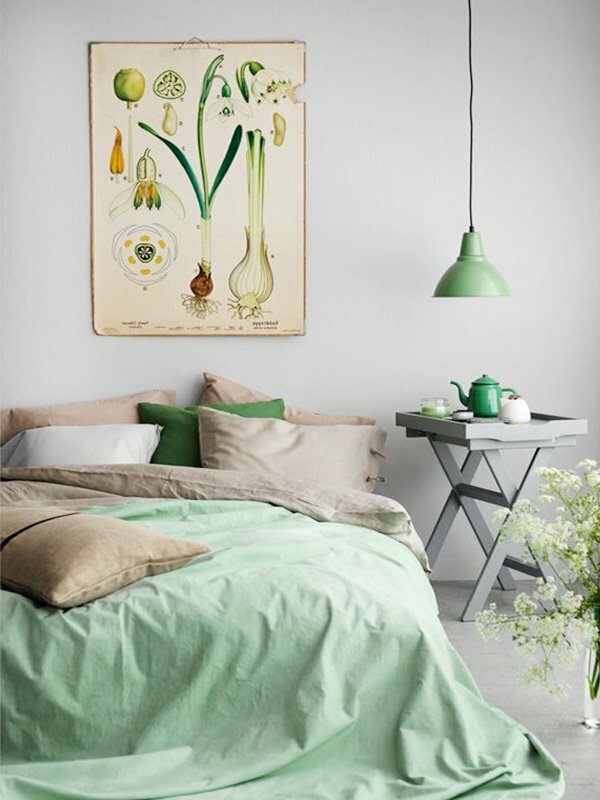 Try and opt for flower patterned accessories, or some dynamic wall art if you want to add a vibrant touch. 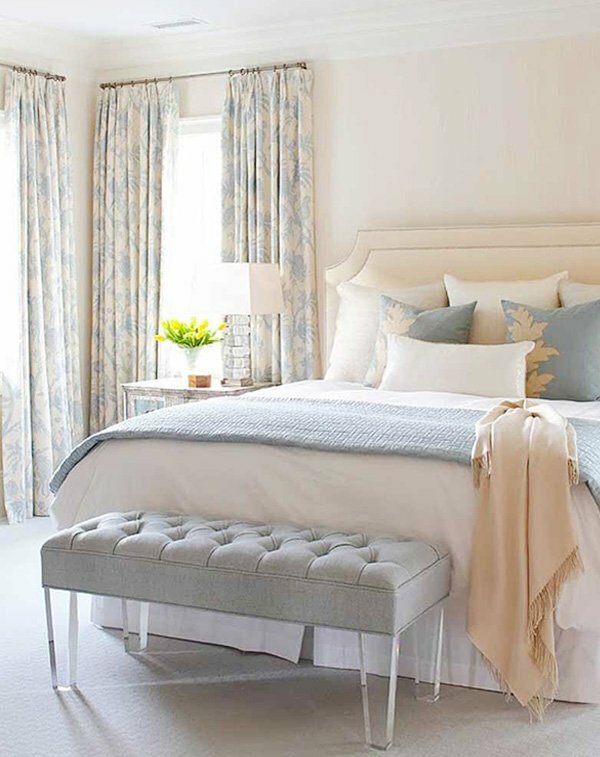 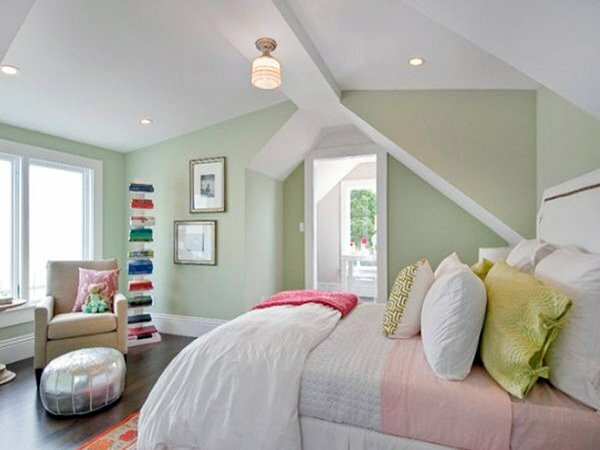 You can pair patterned sheets with solid colored rug, pillows, and curtains to balance it out. 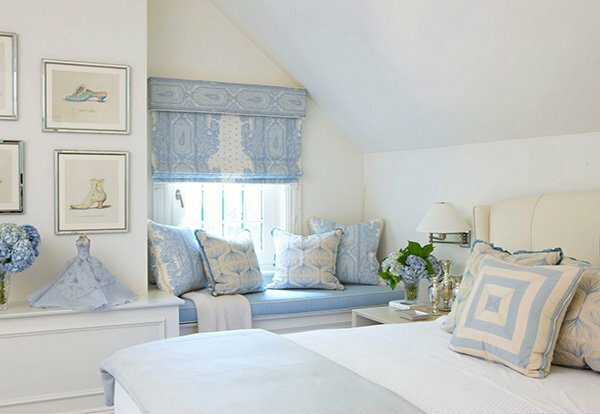 Then again, you can use solid colors and patterns if you’d like and add dynamism with a few, big accessories (big pillows, storage boxes and such) that have darker tones. 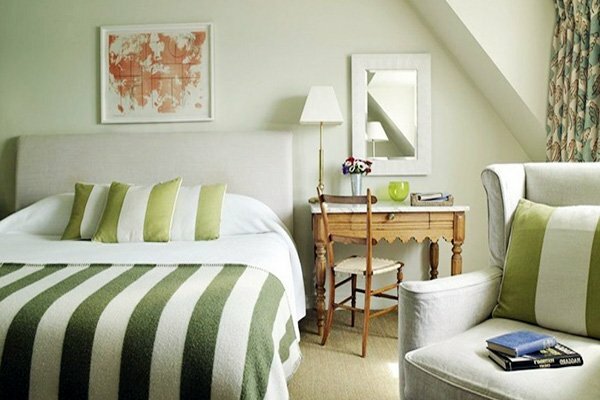 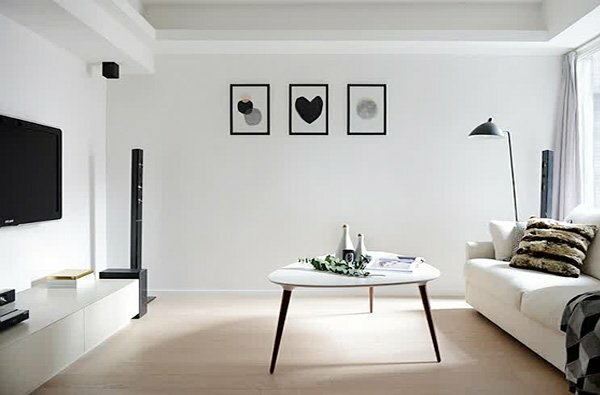 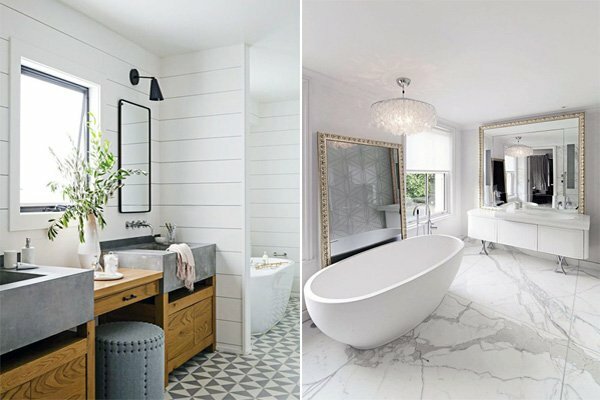 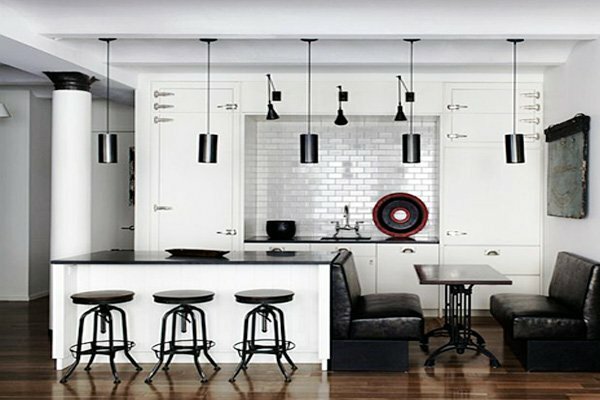 Alternatively, you can use wooden details and create an ever cozier and more comfortable space. 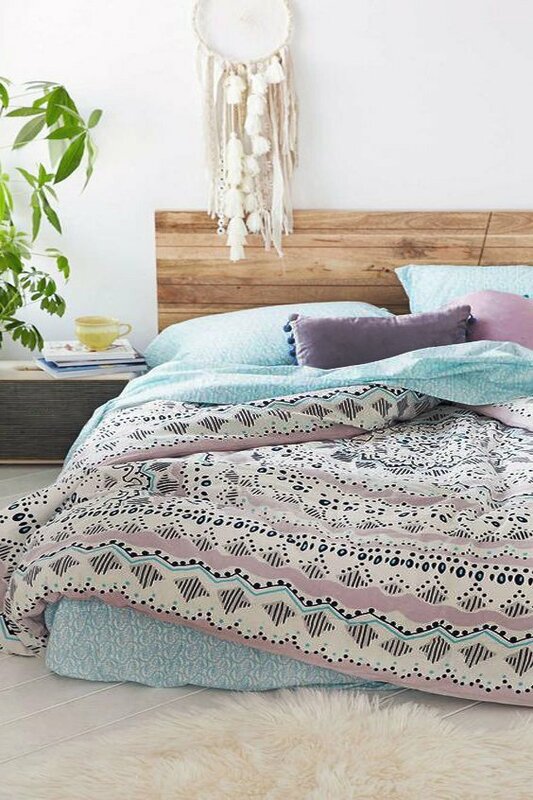 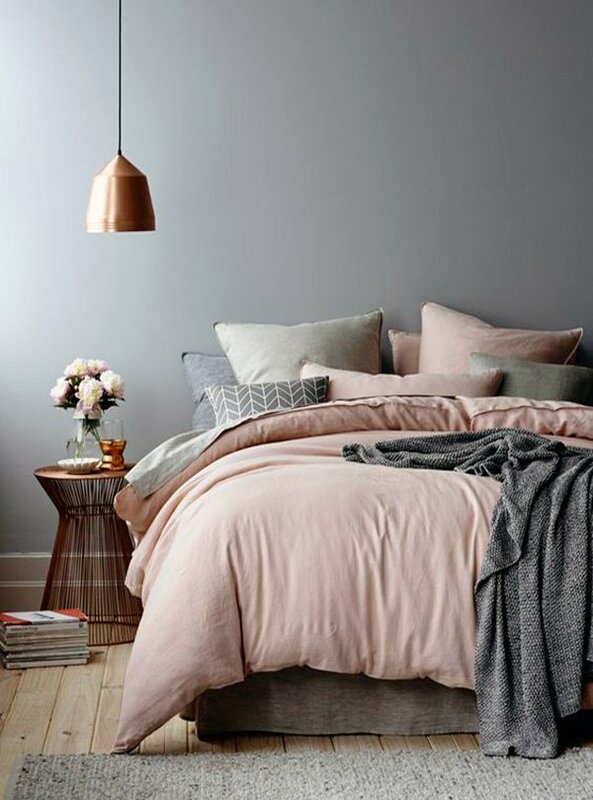 If you are trying to figure out how to decorate your bedroom with soft, pastel colors, take a look at these amazing pastel bedroom decors we have gathered for you below!